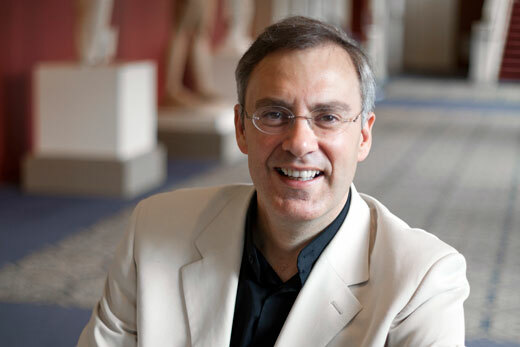 Richard Prior is the Edward Goodwin Scruggs Conducting Chair and director of orchestral studies at Emory. Emory Photo/Video. Richard Prior, senior lecturer in composition and director of orchestral studies at Emory, will have a revised version of his Symphony No.3 premiered by the Atlanta Symphony Orchestra in three shows slated for Nov. 20, Nov. 22 and Nov. 23. The Emory University Symphony Orchestra originally premiered Symphony No. 3 in 2011. Prior is the conductor of the EUSO and the Emory Youth Symphony Orchestra, and also holds the Edward Goodwin Scruggs Conducting Chair. Prior prepared the revised 2014 edition of the symphony as part of the celebrations of the 70th anniversary of the Atlanta Symphony Orchestra, led by music director Robert Spano. "This is a continuation of the relationship that began with Robert Spano during the course of his residency at Emory and will be my third work for the ASO since last year," Prior notes. Prior's "…of shadow and light … (incantations for orchestra)" was commissioned by the ASO and premiered in October 2013, drawing rave reviews. Critics called the work "forbidding and dramatic," "stunning" and "jubilant and exuberant," and described Prior as "perhaps the most gifted of the Atlanta composers," citing his mastery of orchestration, lyricism and musical drama. The performances of Prior's Symphony No. 3 have been designated Emory Week at the ASO. Discount tickets are available for Emory faculty, staff and students, including $12 for front/rear balcony, $25 for rear orchestra, and $30 for dress circle and main orchestra. The program will also include Debussy's "Première Rhapsodie" for clarinet and orchestra, featuring ASO principal clarinetist Laura Ardan, and Beethoven's Symphony No. 5.